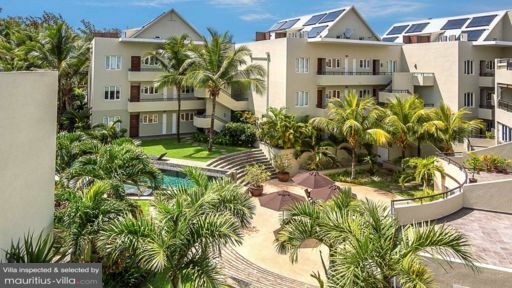 Located in a sun-kissed region of Mauritius, Cape Bay Penthouse is well-suited to larger families or groups of friends and colleagues. Ideal for weddings and other such events, this villa places you in a secluded region but you will still be close to an assortment of eateries and shopping opportunities. 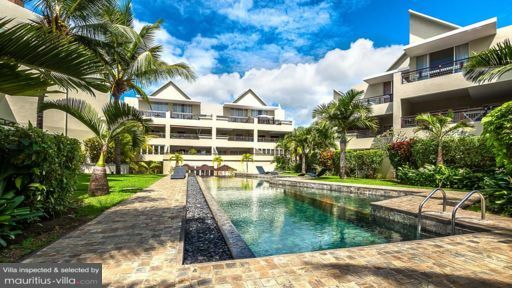 Best of all, guests are treated to various types of services, hence ensuring that everything goes smoothly during your holiday in Mauritius. This penthouse can very comfortably sleep up to six guests. With a stay at Cape Bay Penthouse, guests can choose from three bedrooms that can accommodate up to six persons. All three bedrooms are air-conditioned and come with their own attached bathrooms. Enjoy a soothing shower and rejuvenate at the end of a long day, while you enjoy total privacy and seclusion. The master suite provides a King-sized bed and the second room comes with a Queen-sized bed. The last guest room features two single beds that can be joined to form a King-sized one, if needed. Enjoy a good night’s rest thanks to the crisp, premium bedding. Soak up the tropical warmth and sun as you lounge in the beautiful outdoor area of Cape Bay Penthouse. 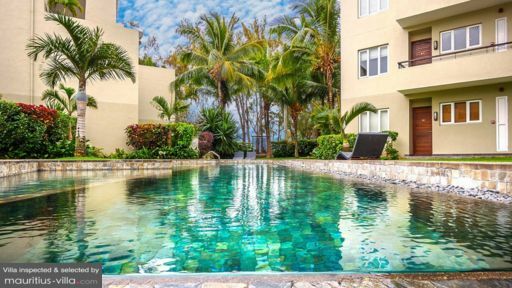 In fact, you will be able to make the most out of not one, but two swimming pools: a shared one in the resort grounds and a private one on your personal terrace. Overlooking the ocean, the terrace also features an outdoor dining space, perfect for enjoying Al-Fresco evenings with your loved ones. By the common pool, you will also find several sun loungers upon which you can relax as you work on your tan. When you don’t feel like eating out, spread out and relax in the beautifully-furnished living room which provides a comfortable sofa with sweeping views of the surroundings. The fully-equipped kitchen comes with everything that you will need to assemble a quick meal: indeed, you can make full use of the fridge, coffeemaker, gas stove, microwave, electric oven and more. There’s also a dining room where you can savor your meals. Cape Bay Penthouse provides complimentary Wi-Fi throughout the villa, which means that you’ll be able to keep up with your social media posts during your stay. Thanks to the daily visit of a friendly housekeeper, you won’t have to muck about with daily chores and can focus wholeheartedly on your vacation. Upon request and for an added charge, the villa can also arrange for a welcome pack filled with Nepresso coffee, fruit jams, butter, sliced bread, milk, yogurt, breakfast cereals, local beer, coke fruit juice, water and fresh fruits. A short drive from Cape Bay Penthouse is found the famous Albion lighthouse, known for its rugged beauty as it perches on a cliff overlooking the Indian Ocean. Just a few minutes away is found the sprawling mall of Cascavelle, where you can stroll on the cobbled boulevards as you browse through the boutiques. Don’t miss a visit to the popular Casela Nature Reserve where you will be able to indulge in thrilling activities such as walking with the lions, zip lining and much more.